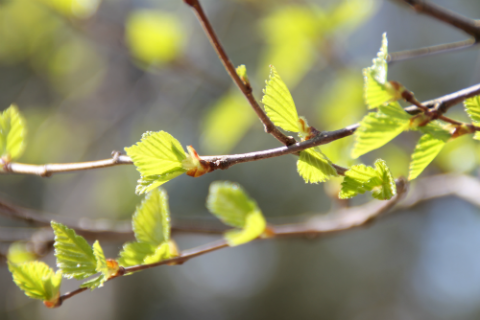 New shoots spring again from hidden roots and summer must ever yet return, and now it has returned to Hossa! 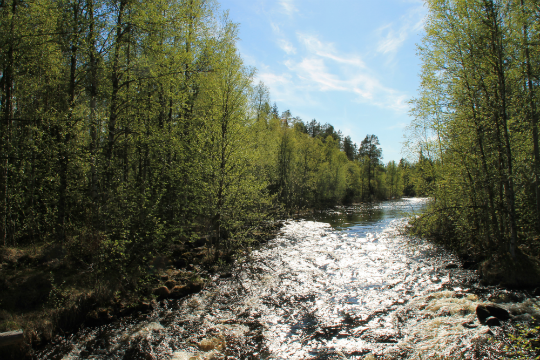 The explosive and intensive growing season of the north has finally started, swallows have returned and lakes have lost their icy coverage. 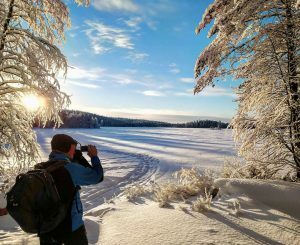 This bursting new life is a feast for all the senses and there´s no better way of enjoying it than heading to a remote nature-travel destination and taking full advantage of the ideal conditions for summertime activities! 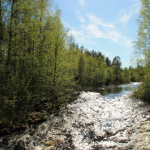 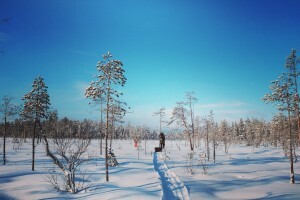 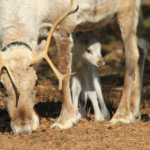 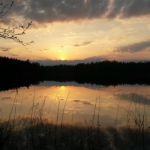 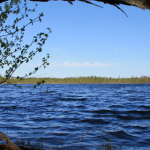 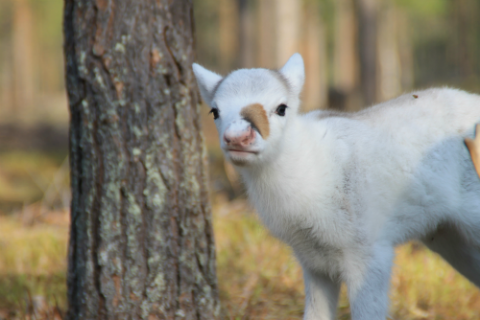 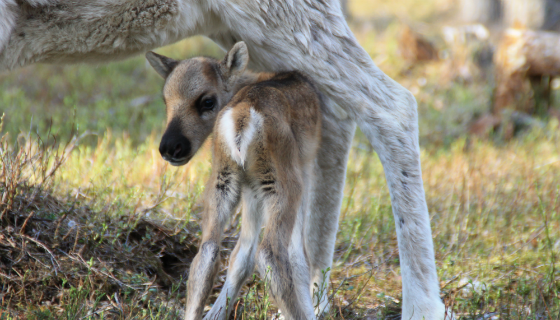 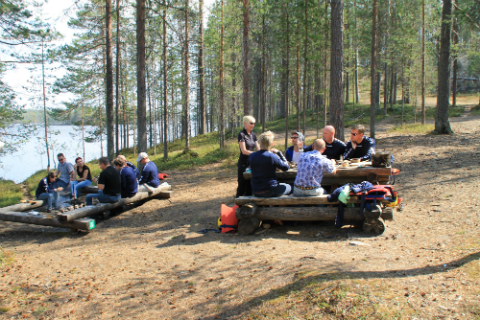 With Hossa Travel, the last weeks of May and early June include canoeing, angling and looking after the newborn reindeer calves to mention a few, here´s more info on those! 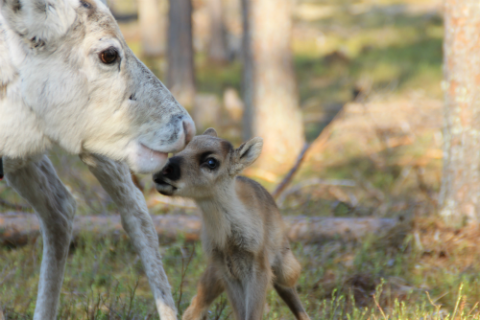 During May we had 31 pregnant females inside the corral to make sure that the calves are born in the safest possible environment and they all gave birth to a healthy calf. 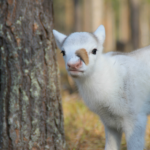 Now they´re out in the wild, feeding on their natural pastures and we hope we see all of them again around November. 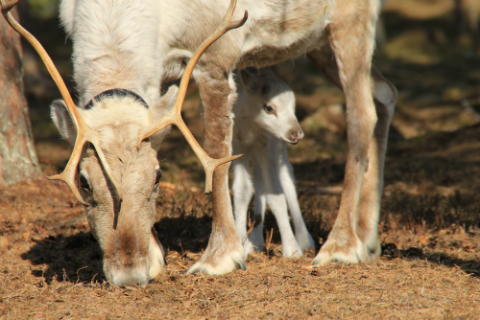 Birth of the new herd members is an annual highlight for us to follow and how can you not like these adorable little reindeers! 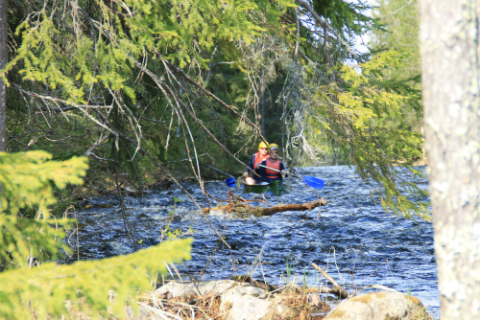 Rivers and streams flood as the snow melts so canoeing is especially enjoyable during this time, not that it would be less fun during mid and late summer, just a bit more easy-going I´d say. 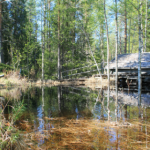 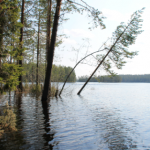 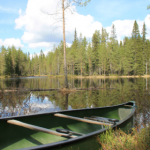 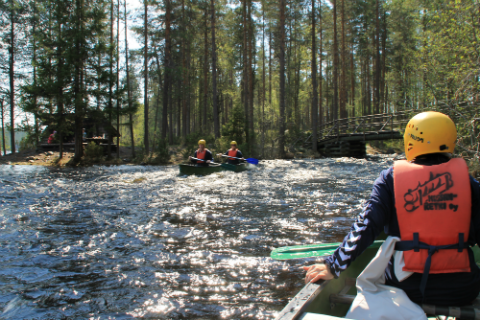 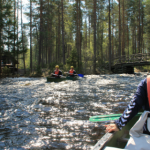 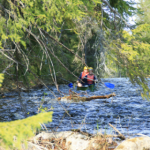 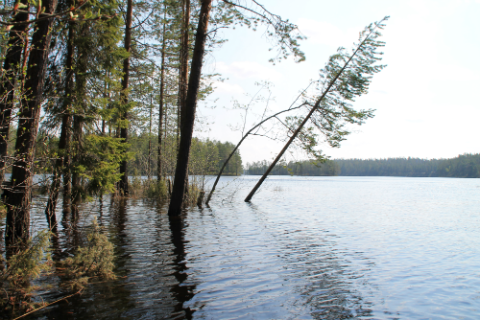 The canoeing routes of Hossa are versatile and rather easy so both, beginners and people with previous experience will find a nice waterway to follow. 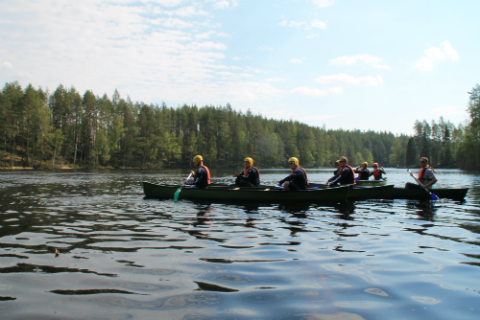 Canoeing pictures below are taken when an international business group from Tulikivi Ltd. visited Hossa a bit over a week ago and took part on a guided, beginner-friendly canoeing day trip. 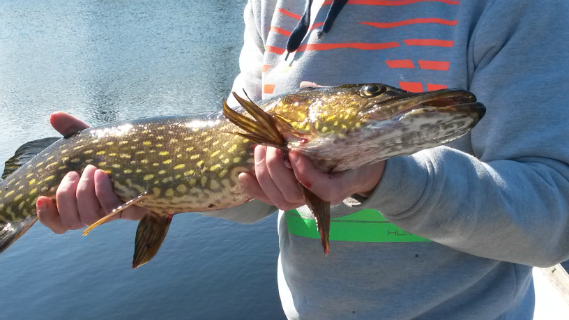 The pike spawning is over around the end of May and after that they become their own aggressive selves again and bite the lure like crazy. 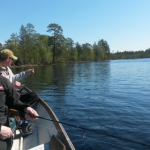 They´re found in almost every lake, river and pond around the Hossa area and due to the fact that they are very aggressive fish by nature and can grow big in these waters, catching them with spinning equipment is so much fun and beginner-friendly also. 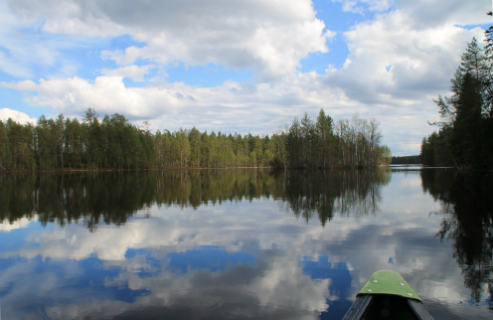 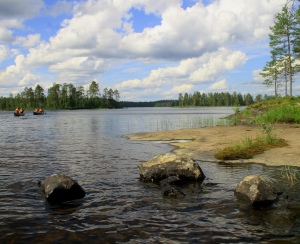 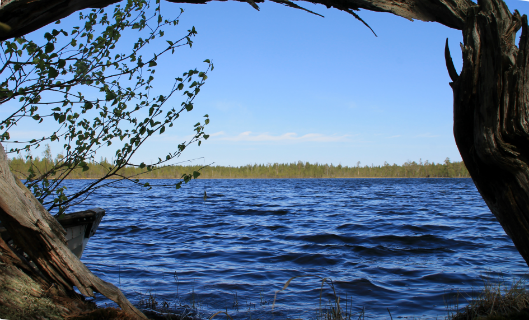 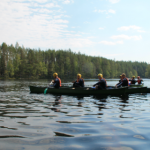 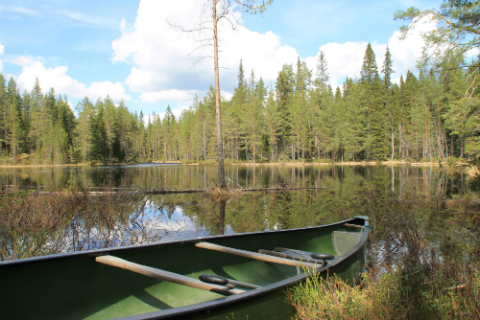 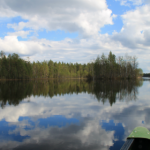 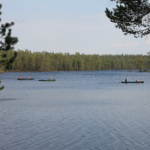 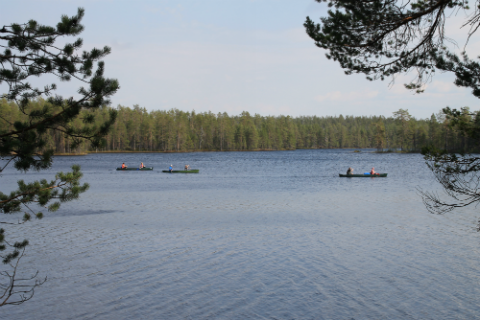 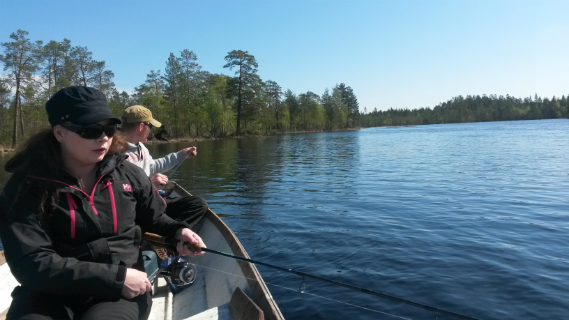 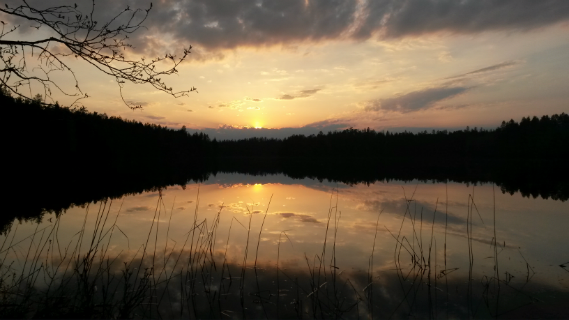 Going on a lake with a light weight boat made for three persons, quietly gliding forward, casting with a rod and a reel, allowing the peaceful nature to calm you down and waiting for the fish to strike – some of the best things you can do during a nice summer day here in Hossa. 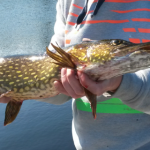 Of course pikes aren´t the only possible catch as several other species of fish lurk in these fishy waters of the fisherman´s paradise as Hossa used to be called! 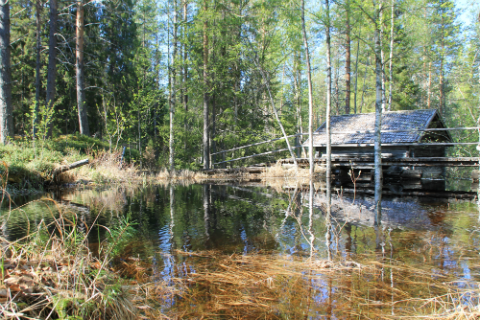 Early summer also has one definite advantage; there isn´t any mosquitos trying to feast on your blood! 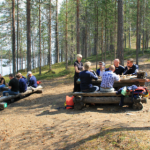 Situation changes later on but with modern, odorless repellents you´ll do just fine. 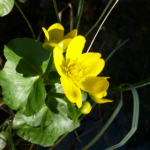 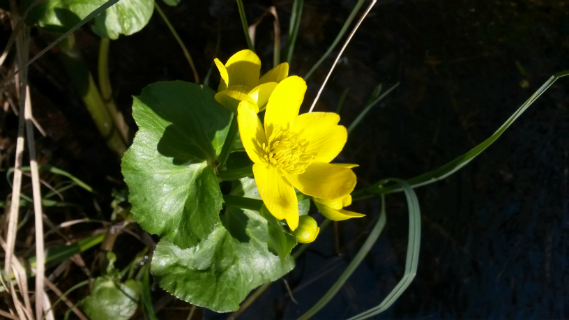 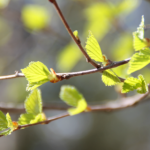 Let´s all enjoy this season of rebirth, renewal and regrowth!